Hey, who left this blog out in the cold? It is almost as if the guy who curates this thing has better things to do with his time, like organizing his whole life or something. 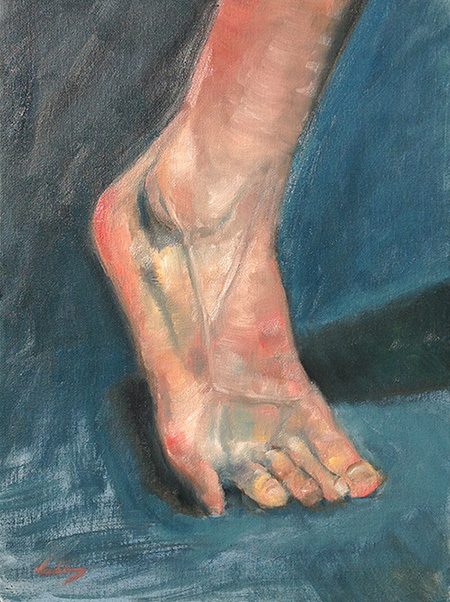 Well, anyways, here are a few more figure paintings that I completed late in the school year that I didn’t get around to posting, maybe because two of them are of feet. 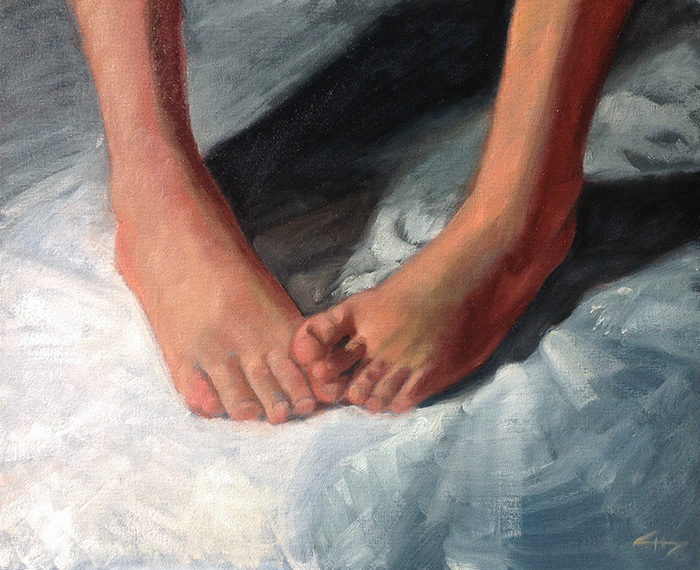 Nobody really goes nuts over paintings of feet, do they? Anyways, regarding my painting, I think I see some overall improvements! Could it be that my insanely costly art education is paying off? Could this be the beautiful beginning of a whole new level of flailing? Stay tuned!